Internal controls are policies put in place to prevent theft of, and damage to, a company's valuable assets. 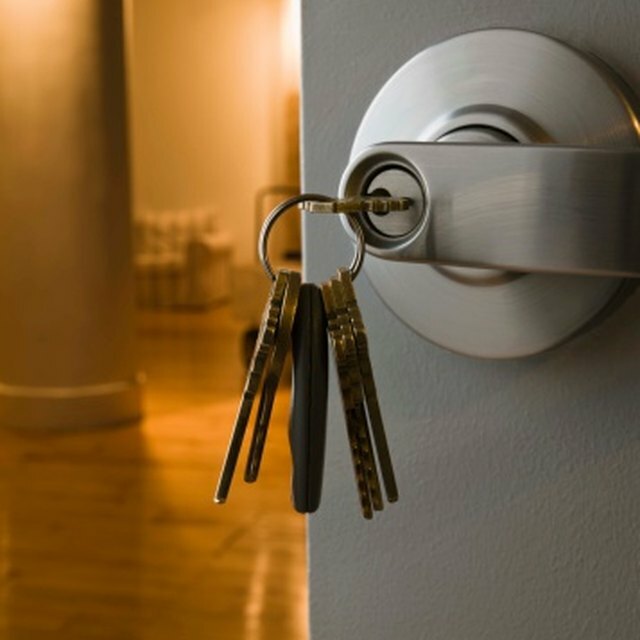 Tangible assets, such as real property, productive equipment, inventory and cash, can be a challenge to keep safe at all times, but familiarizing yourself with internal controls to manage tangible assets can help to keep your property secure. Control access to key areas of your operations, such as inventory storage facilities, cash vaults and equipment rooms, with locks or security checkpoints. Electronic systems are available that allow you to restrict access to sensitive areas to designated personnel without using traditional keys. These systems have the ability to keep a log of which employees accessed specific areas at specific times. Only delegate activities involving open access to inventory, cash and other valuables to your most trusted employees. According to Montana.edu, managers should not allow anyone to sign the manager's name when dealing with suppliers, distributors or customers, and should not allow any employee exclusive control of, or exposure to, delivery or cash-handling activities. A disciplined attention to detail is vital for the security of your tangible assets. Thoroughly lock, gate and secure your premises after each working day, and utilize camera surveillance to record trespassers or suspicious activity. Make bank deposits frequently, and only keep as much cash on hand as necessary. Record access to sensitive areas whenever possible. According to siterooms.com, access records are a key to effective internal controls. Keep an electronic record of access to restricted areas. Require cashiers to log into cash registers with a unique ID, and do not allow cash register sharing. Require employees to mark their initials on bank deposit receipts, delivery forms, cash register tapes and other control documents. Perform regular and random audits of your inventory, equipment and bank accounts to catch suspicious activity early. Consider utilizing a third-party audit company to ensure the reliability of the audit results. Do not allow employees to audit their own areas of responsibility. For example, do not allow an employee in charge of receiving deliveries to audit raw materials inventory, and do not allow the employee who makes bank deposits to audit the bank statements and cash register records. The concepts and techniques mentioned above can aid in loss and damage prevention, but making your internal control policies completely transparent to employees, customers and business partners can serve to prevent occurrences from happening in the first place. For example, tell your employees that access to restricted areas is logged; let customers know that your premises are monitored by video surveillance; and let your suppliers know your internal audit policies.